BBC News reports that Roman and Iron Age coins have been found at Reynard's Cave in Dovedale, Derbyshire. It is unusual for the two types of coins to be found together. Speculation abounds over the small collection, their location and the composition of the modest hoard. 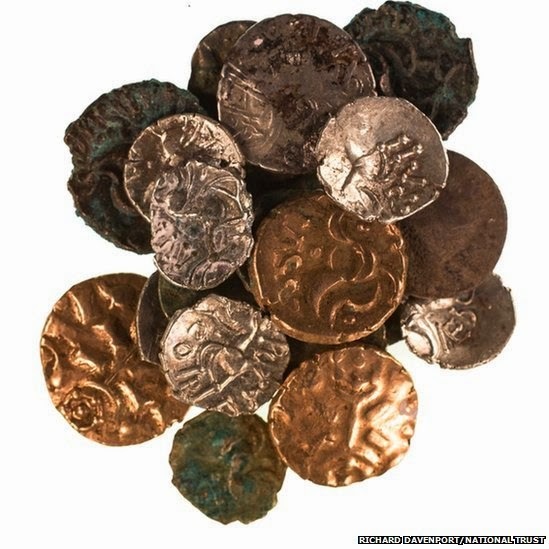 Personally, I'd like to think that some up-and-coming Iron Age warlord had gathered these coins over the course of his lifetime but before his death decided to stash them all in the cave, only to be eaten by a grue.